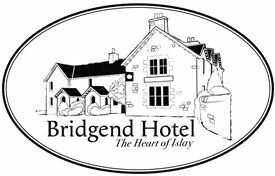 Located at the “Heart of Islay”, Bridgend Hotel offers excellent facilities for the more discerning traveller. Opened a century and a half ago, we aim to provide the original Islay experience to all our customers, offering a warm, friendly and professional service; not only to those staying here, but also to those dining or enjoying a drink in one of our Bars. Islay Estates’ famously fertile trout fishing lochs, with boats on several lochs including the renowned Loch Gorm and the historic Loch Finlaggan, once the seat of power of the Lords of the Isles. There are no jobs with Bridgend Hotel at the moment. Sign up to email alerts below to get notified when new jobs are added. Get the latest jobs from Bridgend Hotel sent direct to your inbox!